Percussionist, composer, lyricist, author, broadcaster. At the start of the seventies, he co-founded The Ottawa Music Company - a 22-piece Rock composer’s orchestra - before joining British experimental group Henry Cow, with whom he toured, recorded and worked in dance and theatre projects for the next 8 years. Subsequently he co co-founded a series of mixed national groups: Art Bears, News from Babel, Cassiber, The (ec) Nudes, p53 and The Science Group - and was a permanent member of American bands Pere Ubu, Hail and The Wooden Birds. Outside a succession of special projects for stage, theatre, film and radio he still works in successive projects with Fred Frith, Jon Rose, The Hyperion Ensemble, Annie Gosfield, Tim Hodgkinson, David Thomas, Peter Blegvad, Daan Vandewalle, Stevan Tickmayer, Lotte Anker and Romanian spectralist Iancu Dumitrescu and Ana Maria Avram, Himmel (minimalism for massed fuzz organs), The Watts, The Peter Blegvad Quintet and What River - and works with all the usual suspects in all the usual improvising contexts. He has toured the world as a soloist with his extended electrified kit. Adjacent projects include commissioned works for radio, live movie soundtracks, occasional compositions, Signe de Trois for surround-sound projection, a year-long daily soundscape project for Resonance FM in London and p53 for Orchestra and Soloists. He is currently five years in to a 150-hour theoretical/archival and educational podcast series (Probes) for the Museum of Modern art in Barcelona, and appears on over 140 records. 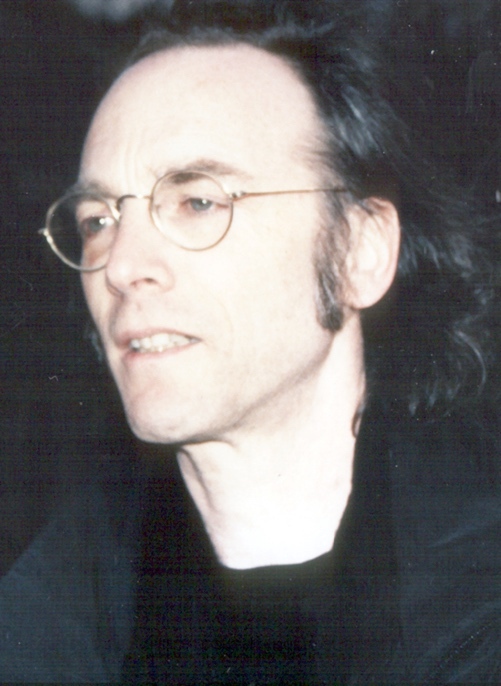 He founded and runs the independent label ReR Megacorp and the art distribution service Gallery and Academic; he edited the New Music magazine Unfiled for 7 years, and is author of the theoretical collection File Under Popular - as well as numerous articles and papers published in 16 languages. He was on faculty for a while at the Museum School in Boston and lectures irregularly on theoretical and music related topics worldwide. Other lasting collaborations have included Aqsak Maboul (Belgium), Les Quatre Guitaristes de l'Apocalypso-bar (Canada), The Kalahari Surfers (Africa), Perfect Trouble (Germany), The Residents (USA), Between (Sweden), N.O.R.M.A, (Italy), Telectu (Portugal), Half the Sky (Japan), The European Improviser's Ensemble (EU), Music for Films, Oh Moscow, Gong, The Work, Brainville, The Watts, Artbears Songbook, Nimmersatt, The Bad Boys Collective, The Artaud Beats, The Lindsay Cooper Songbook, Towering Inferno, Tense Serenity and Mirror Man.